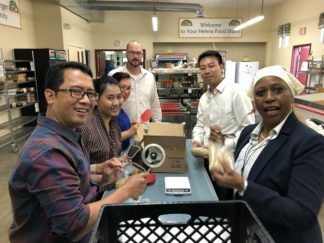 Community service activity was organized for the visitors from Indo-Pacific region at Helena Food Share alongside residents to provide the visitors with the first-hand perspective of the value of volunteerism in the United States. 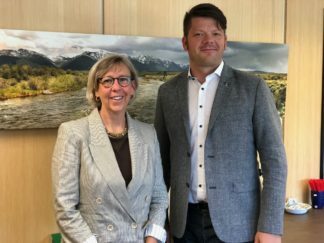 Mayor Zenker from Zittau, Germany came to Montana on “Small Towns in a Globalized World”. His Montana agenda was focused on Bozeman and Helena with a number of meetings. 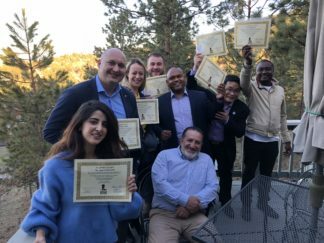 In April 2018 WorldMontana hosted visitors from 10 African countries on Environmental Protection and Biodiversity Conservation. The participants had professional meetings in Bozeman, Helena, and Missoula. They were invited for dinner by residents of both cities and had lot of fun. The U.S. Justice System: Protecting Women and Children. 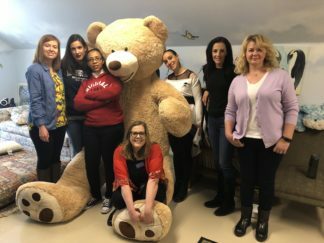 Multi-regional project on “The U.S. Justice System: Protecting Women and Children” for visitors from Solomon Islands, Ukraine, Papua New Guinea, Bulgaria, Bosnia and Herzegovina, Spain. Thank you to Irene and Rick Strauss, Larry and Kathy Dreyer, Janet Armstrong, Chuck and Jane Amdahl for providing home stay to the delegates! International Visitor Leadership Program on “ESTABLISHING SUSTAINABLE ECOTOURISM” for RUSSIA. 7 delegates plus 3 interpreters. The delegates will stay in the hotels of Yellowstone Park and in Missoula. (*NEEDED HOST DINNER FAMILIES in MISSOULA on Monday, April 8. * *NEEDED A DRIVER for APRIL 4-9*) PROGRAM was CANCELLED. THANK YOU to Adonis Zamera and Maie Lee Jones, Rick and Ellen Bush, Neil and Kathleen Harrington for inviting African journalists for dinner in your homes! THANK YOU to Larry and Kathy Dreyer, Dave and Kathy Stelling, Alana Listoe, Kirk and Donna Miller for providing home stay to delegates from GEORGIA! THANK YOU to HOST DINNER FAMILIES in HELENA! THANK YOU to HOST DINNER FAMILIES in HELENA ! A group of Parliament members and staff from KYRGYZ REPUBLIC will be in Montana to study GOVERNANCE and BUDGETING. Their program is organized by Open World Leadership Center via the U.S. Congress and will be hosted by WorldMontana. The delegates will stay with American families. On October 16 Montana Host Families Recognition Reception will take place. Ambassador John O’Keefe, Counselor to the Board of Trustees, Open World Ledership Center, Washington, D.C. and Ron Lukenbill, President, Board of Directors, WorldMontana, Helena will host this very special event. 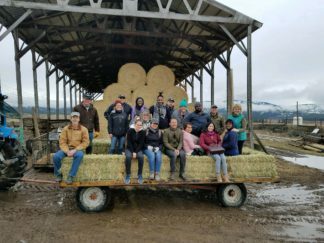 A group of professionals from 9 professionals from VIETNAM will be in Montana to study “THE FOOD SUPPLY CHAIN.” The group will have scheduled meetings in Helena and Bozeman. 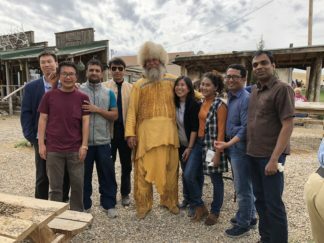 4 professionals from TURKMENISTAN will be in Montana to study the subject of “EARTHQUAKES AND NATURAL DISASTERS PREPAREDNESS AND RESPONSE.” The group will have scheduled meetings in Helena and Butte. A group of 6 professionals from BANGLADESH will be in Montana regarding the topic of “MODERNIZING CIVIL DOCUMENTS AND VITAL RECORDS IN BANGLADESH.” The group will have scheduled meetings in Helena and Bozeman. In our fourth year at Carroll College in Helena, WorldMontana is focusing on expanding its outreach and network throughout the Helena community. This is Executive Director, Alexandra Sasha Fendrick’s second year with the WorldMontana team; she has many years of experience in leadership and traveling. The Board of Directors has grown from five to ten members, and represents both Helena, Bozeman, Kalispell and Missoula. WorldMontana hosts groups of international leaders through exchange programs for both professionals and youth groups. The delegates learn about U.S. agribusiness, economy, tourism, environmental issues, healthcare, entrepreneurship, peacebuilding and reconciliation, and more! 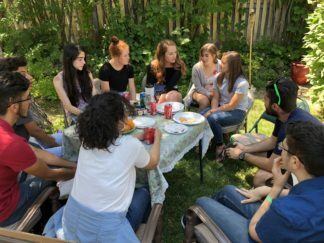 WorldMontana also collaborates with Carroll College students and faculty to further international learning and global awareness. WorldMontana® annually hosts international visitors and we are always looking for host families and partners. Hosting is a great way to experience another culture and engage in citizen diplomacy. If you are interested in partnering with WorldMontana®, contact us at office@worldmontana.org or call our office 406.447.4444. We look forward to hearing from you and thank you for helping international visitors experience wonderful Montana hospitality! WorldMontana® is an affiliate of the National Council for International Visitors (NCIV) based in Washington, D.C. We are one of 88 U.S. non-profit centers dedicated to promoting global understanding through citizen diplomacy. One of the ways we try to foster global understanding is by facilitating the International Visitor Leadership Program sponsored by the U.S. Department of State. In Montana, we host approximately 150 international leaders through this program each year. 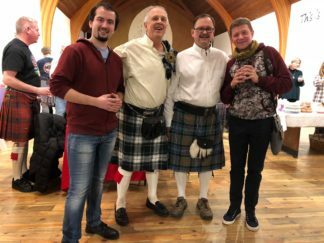 WorldMontana® staff arrange meetings between international visitors and their professional counterparts to discuss common interests and share ideas. These appointments often lead to continued contact overseas with positive outcomes. Depending upon the focus of the specific international group, WorldMontana® guests may visit schools in the community to share their culture with local students. We also invite WorldMontana® supporters to meet socially with distinguished guests at our receptions held throughout the year. Often, visitors attend dinners in WorldMontana® supporters’ homes adding a touch of Montana hospitality to their experience. 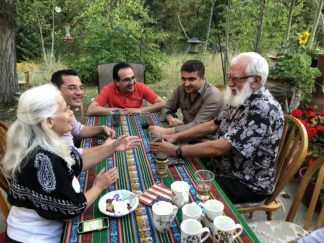 WorldMontana® welcomes new members, financial supporters and professionals, who would like to meet with their foreign counterparts, and local residents who would be open to inviting a foreign delegates to their home for dinner. If you would like more information or would like to volunteer as a host, please contact us. We would love to hear from you!